Get out of the kitchen and track your food’s progress from your smartphone. Cook up perfection each and every time. 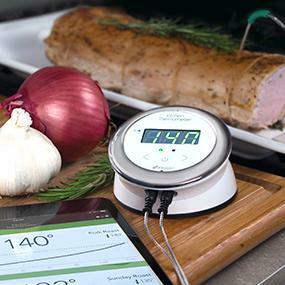 Whether you’re cooking a full turkey or two separate pieces of meat, track two temperatures simultaneously from your iDevices Connected app for maximum coverage. 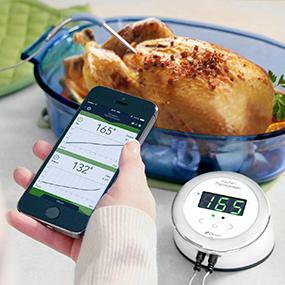 The Kitchen Thermometer’s LED display will illuminate once you and your smart device are within close proximity. This lets you take a quick glance at your current temperature while still conserving battery when you’re not in the room. 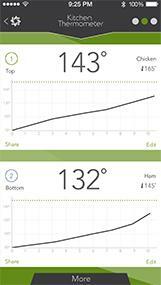 Monitor dual temperatures from your iDevices Connected dashboard.